Were your teams called the Indians? Are they still called the Indians? I got the chicken at a Greek and Lebanese place. All it is is chicken cooked on an upright rotisserie with a bunch of chickens at a time. Then they shave it of into bite sized pieces. I can't panic a foodie such as yourself never heard of it. Actually I never ate that kind of food until recently. Was afraid they might be servings testicle of camel or something. Now I go to Serop's Express pretty often. Yoy can get what they call a 3 side plate for $6.95. Last night I got the chicken, creamed spinach and okra and tomatoes. They give you quite a bit of each so I had enough chicken left over to make a sandwich. They give you a round piece of pita bread with every order along with some kind of cucumber sauce. I don't care for the pita but I eat the sauce on crackers. Well, if you aren't at Beverly and Rampart, it ain't original. You have to go in your PJ's at like 2AM. Good times. Not the same chain, sha. 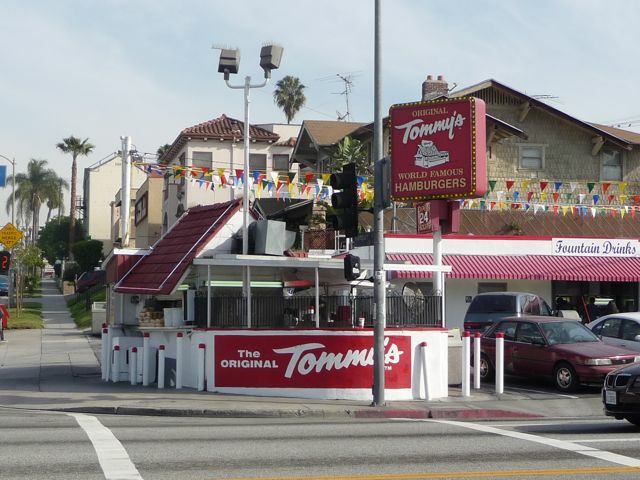 The Tommy's in San Clemente is good but it's not the Original Tommy's Burgers. 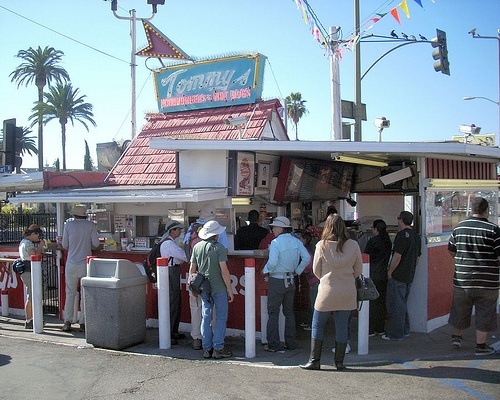 The ONLY thing you can get at Tommy's burgers is.....burgers, fried, cheeseburgers, and chili. He won't know the difference. He eats a roux sold in a jar I hear. lsutiga, kcal and Bengal B like this. I knew it was Tommy's and we'd always end up there after going out. The breakfast was too notch. Probably one of only two things I miss about Ca. It's definitely a good spot for breakfast and it's not so easy to find places like that around here anymore. There used to be a place called The Cottage in Laguna Beach. Not too expensive, great breakfast, in an old house with a huge fireplace in the main dining area. Loved going there in the winter. It was in business for some 40 years and then got bought out by some LA nitwits and it's now called the Urth Cafe...."Exclusively Organic Coffees and Teas". Just shoot me. They painted, changed the entrance door, added a ceramic ocean ball.....and now it's all zen. No thanks.